From the rise of cyberbullying and hactivism to the issues surrounding digital privacy rights and freedom of speech, the Internet is changing the ways in which we govern and are governed as citizens. This book examines how citizens encounter and perform new sorts of rights, duties, opportunities and challenges through the Internet. By disrupting prevailing understandings of citizenship and cyberspace, the authors highlight the dynamic relationship between these two concepts. Rather than assuming that these are static or established "facts" of politics and society, the book shows how the challenges and opportunities presented by the Internet inevitably impact upon the action and understanding of political agency. In doing so, it investigates how we conduct ourselves in cyberspace through digital acts. This book provides a new theoretical understanding of what it means to be a citizen today for students and scholars across the social sciences. 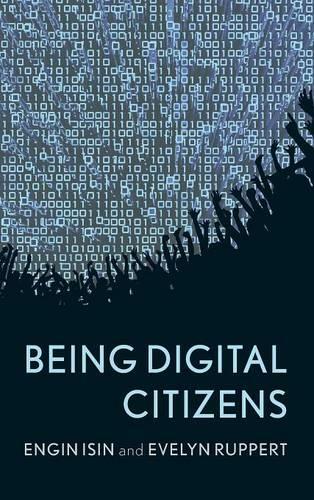 Being Digital Citizens presents an incisive and galvanizing account of the political actions and experiences of digital citizens. Refreshing stale oppositional debates over rights, freedom and liberation through the internet, it offers a lucid and concrete account of transformations in what citizenship means.Hardly any other account of digital political life has managed to effectively sustain a dual focus on both the digital and political in the way this book does. -- Adrian MacKenzie, Department of Sociology, Lancaster University.